Ice Cream! Ice Cream! We all scream for ice cream! Even (or especially?!) when we are following a path to improved health and wellness. Thought you’d never be able to eat ice cream again – unless it came with a large dose of guilt, a side helping of body fat, and a fast route to diabetes and other health issues? Well now you can. Make life a lot more scrumptious and a lot less restrictive by making your own ice cream. Your KETO Ice Cream Scoop Cookbook shows you just how easy it is to do – there’s no complicated techniques using egg yolks here. For everyone wanting to feel fantastic without giving up taste, improve their health dramatically, and lose body-fat, this cookbook is crammed with delicious ice cream recipes for 52 fat-burning, health-boosting, joyous frozen treats that will help in your quest for improved wellness and increased fat-loss while keeping your taste buds insanely happy. Developed for people who are following any of the following lifestyles: KETO, LCHF, LowCarb, Paleo, SANE, Wheat Belly, Vegetarian, Vegan (with slight modification), Primal, Wild Diet, Bulletproof, weight-loss, gluten-free, grain-free, sugar-free, soy-free, egg-free, diabetic, dairy-free (with slight modification), and many other dietary lifestyles. 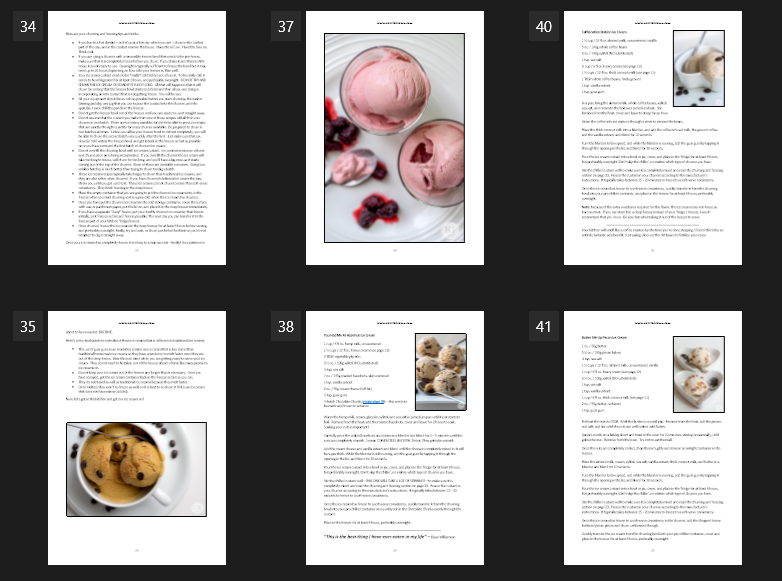 Get your DIGITAL download of The KETO Ice Cream Scoop Cookbook right now and get ready to enjoy the best tasting and healthiest ice cream you’ve ever had! All recipes are free of sugar, grains, gluten, eggs, and soy. Many are also free of dairy and / or eggs – or can be easily modified to accommodate. Sonya Solomon - Thank you for all your help! I have been doing Keto for about 5 weeks and having great results! Have you had any bad experiences with Xylitol creating an insulin effect and thus throwing you out of keto? I have read that erythritol is GI=0 where zylitol is GI=13. I have also read that some people use erythritol and then add 1-2 tbsp of vegetable glycerin to compensate for the hardness? Have you tried or suggest that? Thank you for your continued advice! Luis - Hi! Did you ever completed these Monk Fruit sugar experiments? Sonya Solomon - I purchased your book and am starting to make some of the amazing looking recipes! I started with Sassy Goat. I had a problem with it being SO thick that my Blendtec wouldn’t blend for the full 5 min. It maybe lasted 1.5-2 min on the #1 setting. It was also so thick that when I went to churn it, the machine was struggling and stopped churning before it reached to fully desired texture. It is more of a marshmallow fluff type texture. Am I doing something wrong? Is this recipe just a little out of the ordinary with all the goat cheese? D'Aon Lucas - I posted these comments in the books Q&A but never received a response. I will repost here in hopes of receiving an answer. D'Aon Lucas - Posting again (3rd time). I’d really like an answer to my questions! Karla Koths - I know you don’t list the number of calories, etc. but can you tell me if there are ANY carbs in your ice cream recipes? 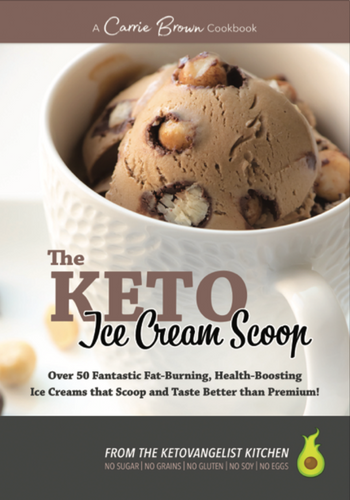 I have “The KETO Ice Cream Scoop” book. Denise Fox Eskridge - Have you broken down the macro nutrients for your ice creams anywhere? I have been unable to find any posts regarding serving size and gram counts. Elaine Kling - Just made our first ice cream from your book. I have hope again ! My blood sugar didn’t rise at all and we gave it a 10 out of 10! I to grew up in England and have lived in California 34 years. Of COURSE I remember Arctic Rolls, ha ha! Our Sunday delight! Thankyou , thank you , Thankyou!